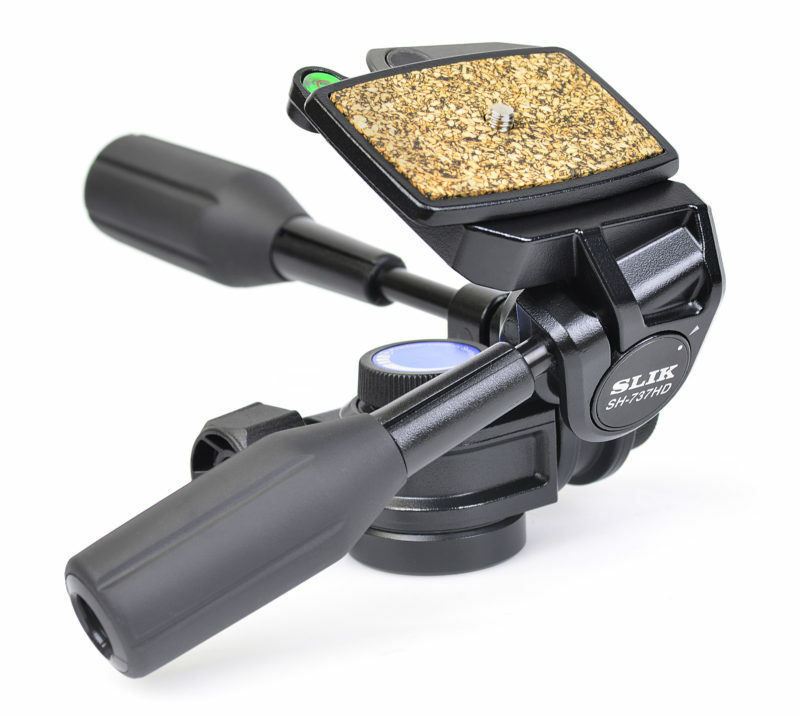 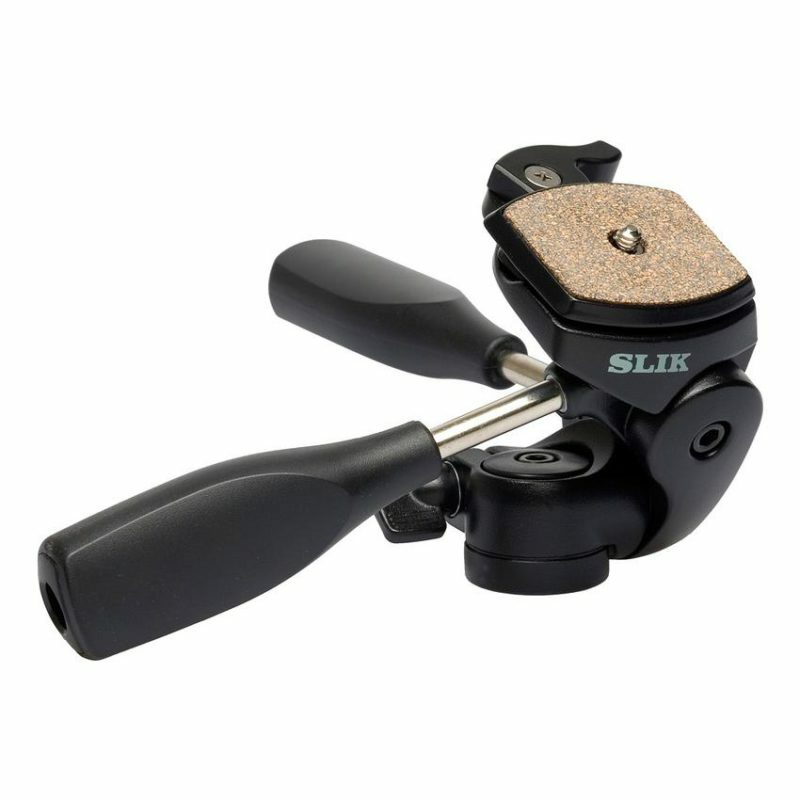 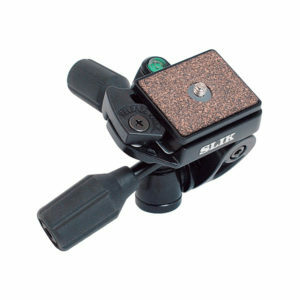 The SLIK SH-704E is a compact and lightweight 3-way pan head. 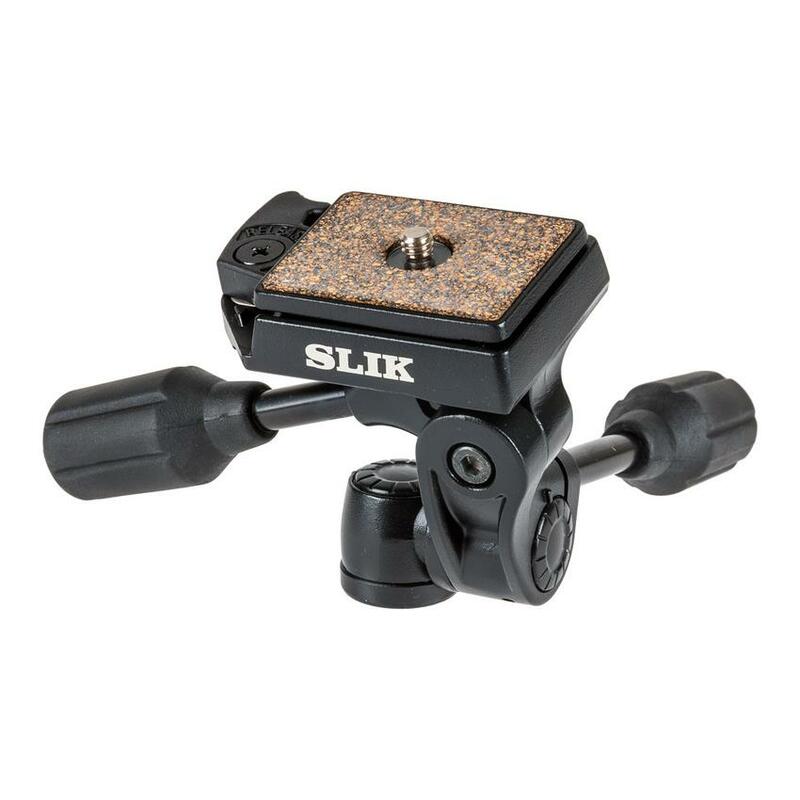 Use it with SLIK and other manufacturer’s tripods. 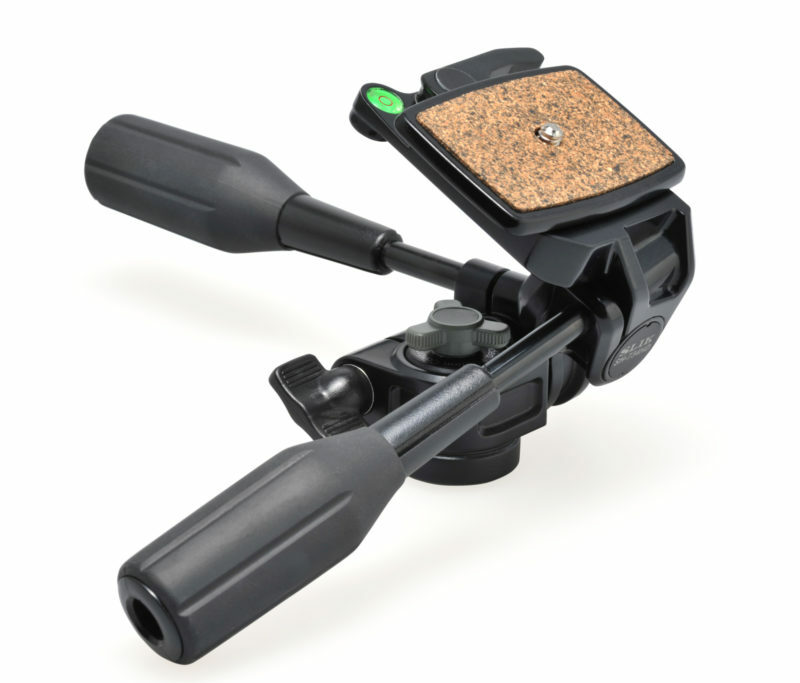 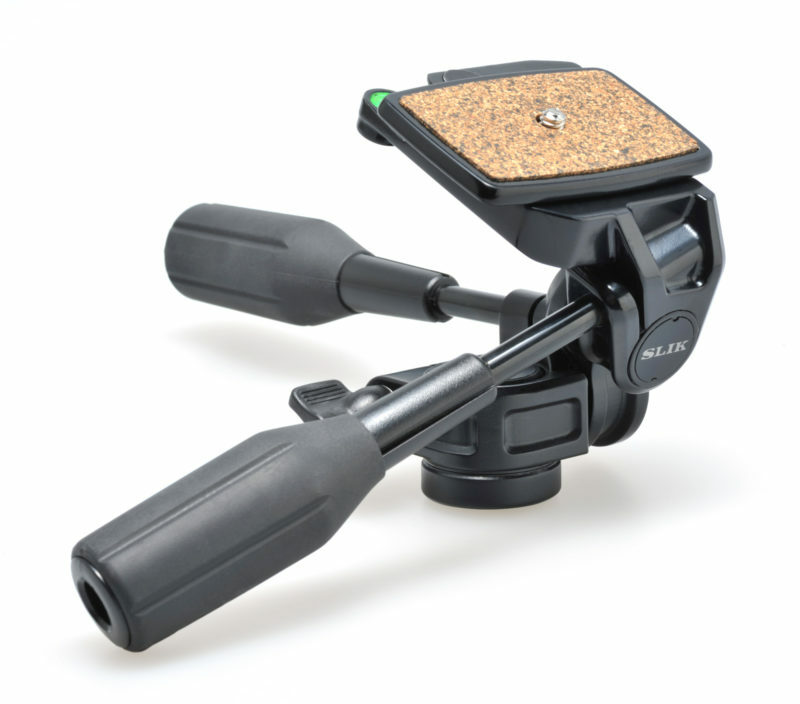 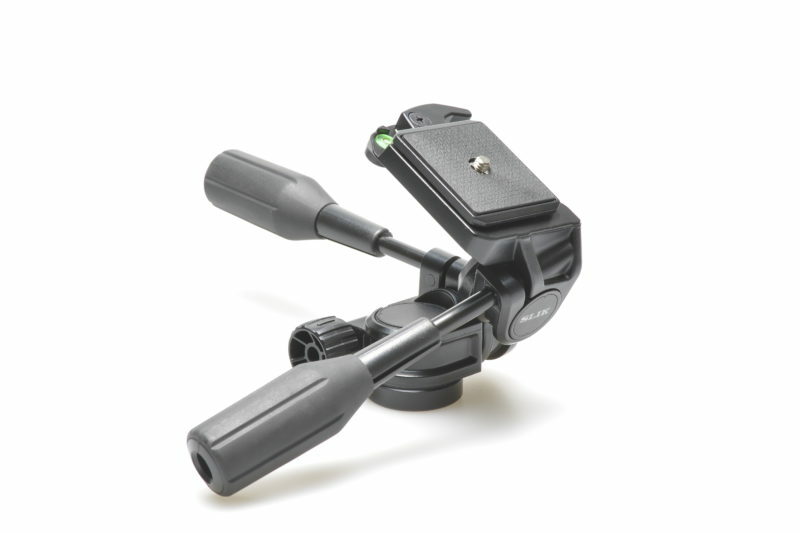 This head also has long handles with rubberized grips for easy and accurate positioning of the camera.